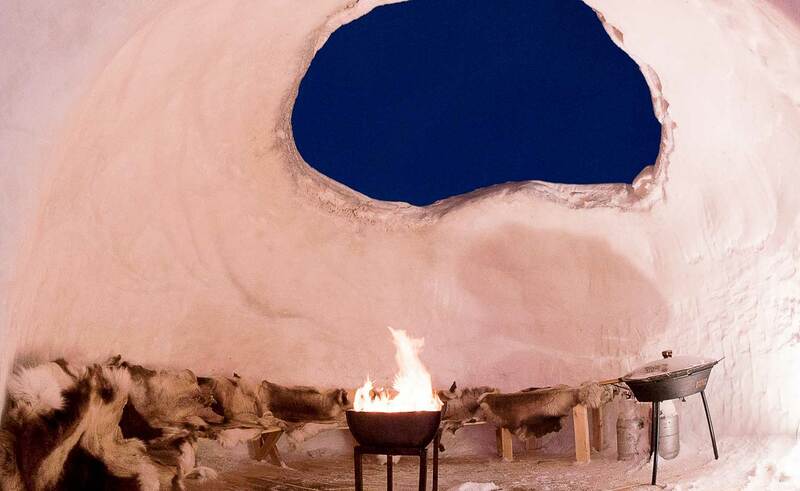 In one of Sweden’s most scenic spots, on a promontory of Lake Hornavan, you’ll find Arjeplog’s own Iglootel. An ice house for those who want even more winter. 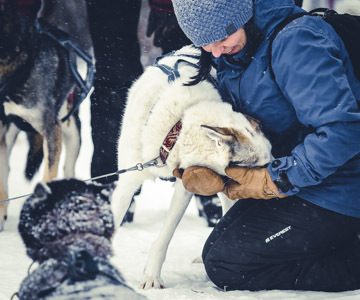 For those who really want to experience the snow, perhaps after a day out on a snowmobile, or after having tested your skills as a driver on the prepared tracks on Lake Uddjaur, it might be time to try an igloo of your own. 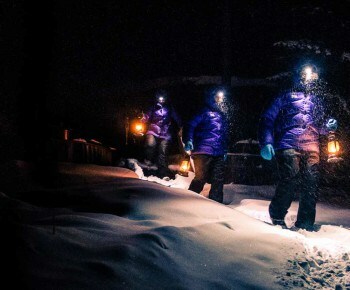 Taking the grand experience one step further: not just enjoying winter in daytime, but also letting snow and its glorious qualities surround you at night. 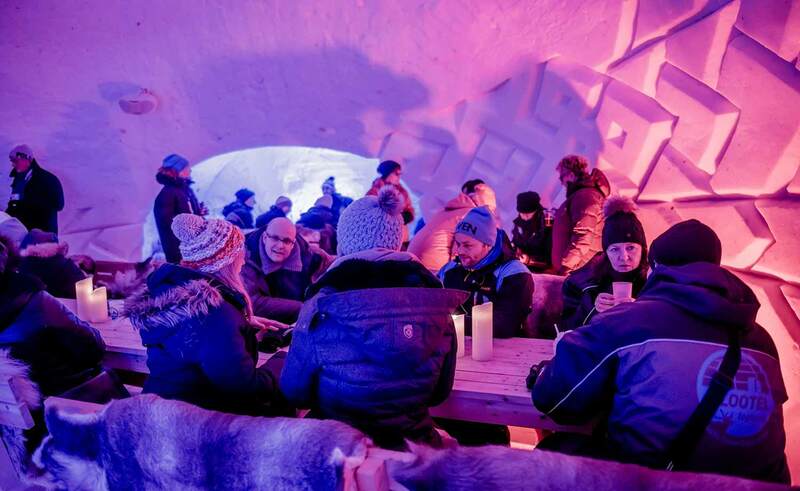 In Arjeplog in Swedish Lapland, Flycar and Silver Resorts have built a proper Iglootel for you and your family three years in a row. Families can rent a room with up to six beds. 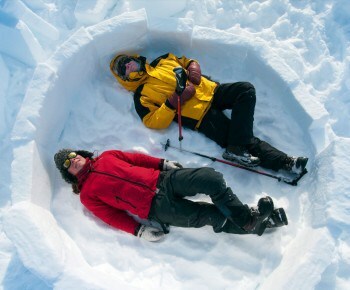 If you travel as a couple there are romantic igloos available for two. 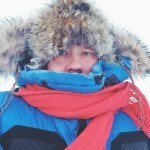 Igloo is actually Inuit for ‘ice house’. Traditionally, they are domed structures constructed using blocks shaped by hard-packed snow. Inside that kind of igloo you’ll be surprisingly protected from the winter elements wind and cold. 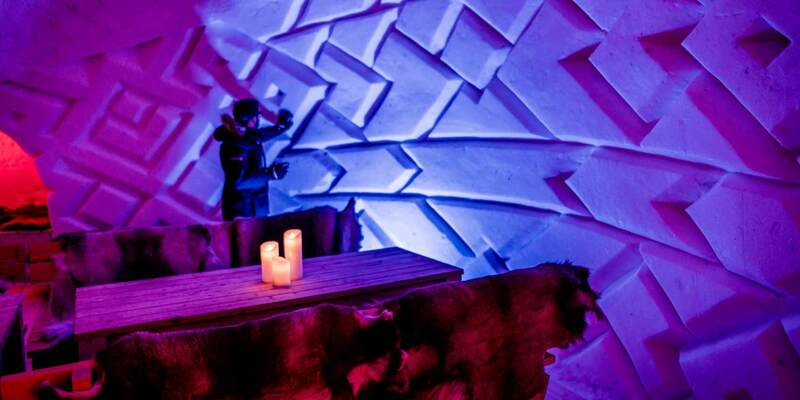 The temperature in an igloo is generally only a couple of degrees below zero, even if it’s minus 30 outside. 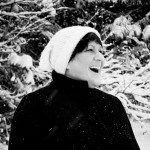 Snow has an amazing ability to insulate. 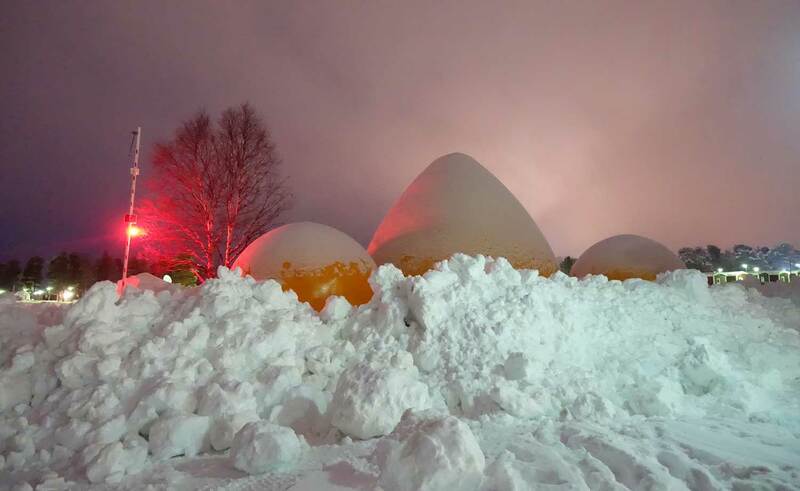 They are built by filling large balloons with air, then snow is sprayed over the balloons. 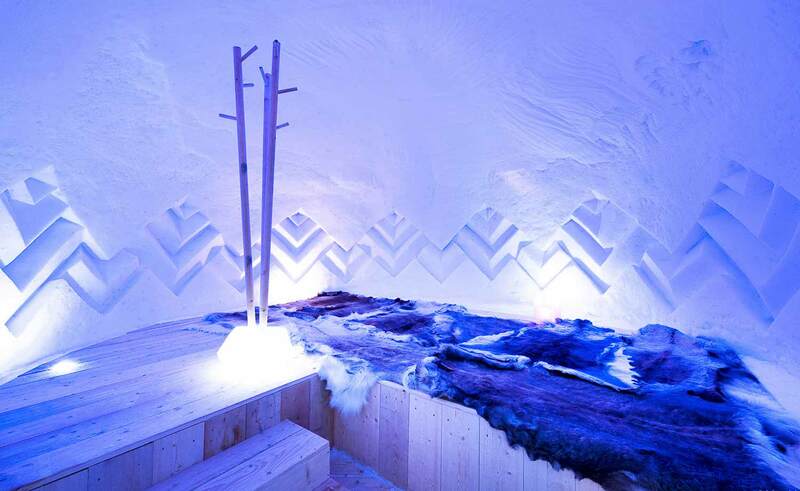 Iglootel in Arjeplog spans over a thousand square metres and has a maximum ceiling height of eight meters. So it’s not just your average little igloo. They are built by filling large balloons with air, then snow is sprayed over the balloons. When the snow freezes, a bit like when cement sets, the construction becomes stable. Air is then released from the balloons, leaving a cavity. This cavity is turned into rooms, a bar, or perhaps a living space with a fireplace. 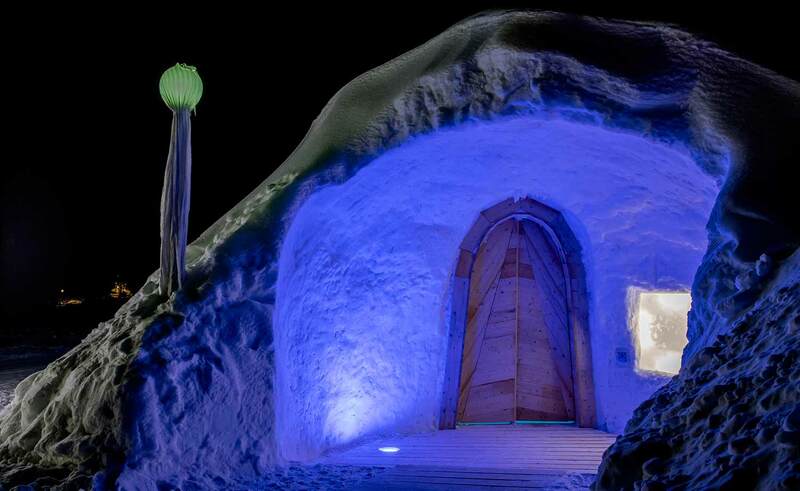 Iglootel is located 50 km south of the Arctic Circle, at Kraja in Arjeplog. The wintry hotel is built by a partnership: Flycar and Silver Resorts. The oldest part of the inn next to the Iglootel was built back in 1896 by the two carpenters ‘Finn-Anders’ and ‘Finn-Samuel’. The building has since been used as a doctor’s villa and a forester’s villa as well as a rest home for the Sámi. It’s been part of the Silver Resort portfolio since the 1980s. Great emphasis has been put on preserving the old, rustic feel that the inn has inherited from the 19th century. These days Kraja is a well-known part of Arjeplog, with cabins and pitches for caravans. The campsite and Iglootel are located on a promontory of Sweden’s deepest lake, just where the mountains meet the small town. Iglootel itself is built in December, ready for guests and visitors from January to April. Here you’ll find hotel rooms, a dining room, bar, jacuzzi and wood-fired sauna, all part of the one-thousand-square-metre facility. The stylish interior is a result of the continuous cooperation with applied-arts students from the German town Aachen. Throughout the season guided walks are offered daily at Iglootel. 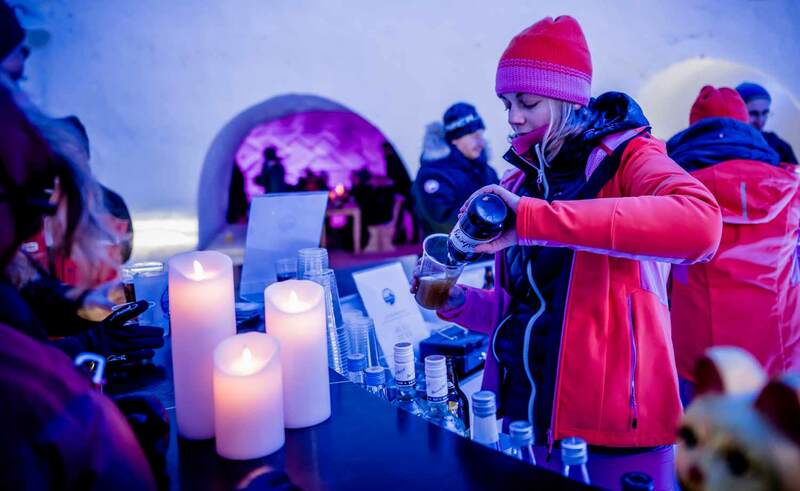 Staying at the Iglootel one night will set you back between 995 and 2,390 SEK per person, depending on how many welcome drinks, dinners, jacuzzi visits and breakfasts you choose to add. And yes, the welcome drinks are served in glasses made of ice. 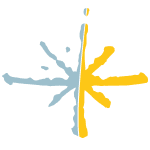 Learn more by visiting iglootel.de.